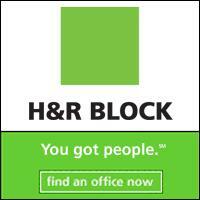 H & R Block is the largest consumer tax services company in the U.S. In 2006 we served 19.4 million customers at more than 12,165 retail offices nationwide as well as with our customized digital tax solutions. H&R Block is the only tax company that offers you, our customer, in-person services, TaxCut software and online solutions.